(Scottsdale, Arizona) – Daniel Garza , Executive Director of The LIBRE Initiative, will be the featured speaker at the Tea Party May general meeting on May 15th in Scottsdale. Garza will speak about the LIBRE Initiative, and how immigration reform is an important step towards the economic recovery of our nation. Mr. Garza will also tell the compelling story of how he was able to achieve his American Dream by following the path to freedom from working the fields all the way to the White House. His story is one that highlights the values of hard work and self-reliance and is told as part of LIBRE’s ” Share the Dream” campaign – a national effort that tells the story of four children of immigrants and the common thread that led them to succeed in the United States. 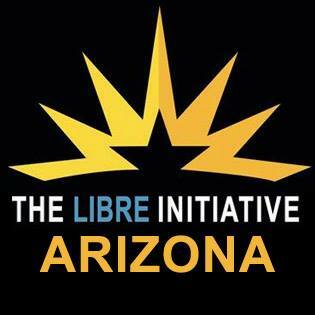 WHAT: Daniel Garza, Executive Director of The LIBRE Initiative, will be the featured speaker at the Tea Party May general meeting on May 15th in Scottsdale.